In the summer, my neighbor near A Bitter Better in the Liverpool neighborhood of Galeville throws a tarp over his boat. 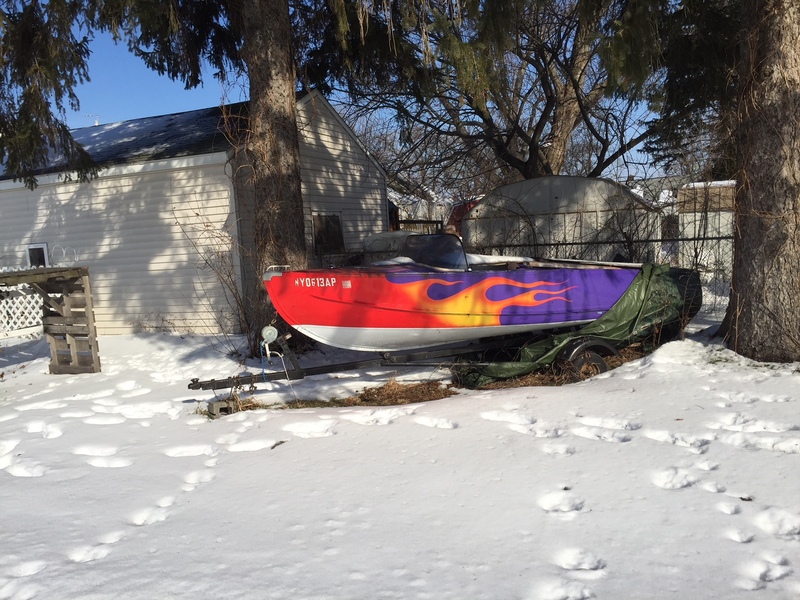 In the winter, there’s no hiding his colorful little craft. Can this really be the path to spring? Yes, hard to get lost in the fog, even, Beth.